how to remove scope lens ring? I just got a new scope and want to fit a 3mm clear acrylic lens protector just in front the the objective lens, but am struggling to remove the outer lens ring. Is there a particular tool or knack for getting this to turn? The shortdot I got from proff was loose enough that I could remove it without any difficulty. Is this the short dot or another Visionking or something else? If it is Visionking then that outer ring is on right, but it's not glued or anything so a flat-head screwdriver and a little torque CCW will work just fine. If not, give it a bit of heat (but not too much as there's a flat seal behind the collar usually that could melt). Also, make sure when you put that insert in that the flat seal is enough to offset it from the objective. If it's not, replace with an o-ring so it's offset by just a hair. The last thing you want is the protective, sacrificial lens sitting up against the objective and transferring all of that energy straight onto it when it's shot. When you replace the collar I'd recommend a little lube or maybe some copper slip/grease so that it comes off more easily in the future as the threads are incredibly thin and can grind a little on most scopes. 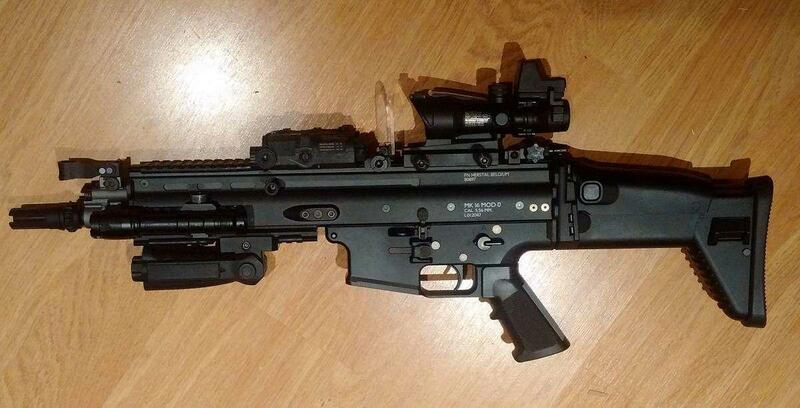 Not your one prof, I got a new clone trijicon acog I want to protect. I have ordered some watch rubber gaskets, 0.7mm thick to sit between the protective lens and objective. How long is a piece of string, heh? I mean if they've used tool strength thread-lock then 80 degrees should denature it, but if it's permanent stuff then you're looking at 300+. Heat it with a lighter maybe and just see if you can get it to budge when it's a bit too hot to touch, but don't go crazy. Expanding the outer metal should crack any thread-lock they've put on there anyway. Uncharted territory for me though as the Visionking ones don't use a sealant, but they're done on very tightly. I just got a scope cap and sandwiched the Perspex in that, I would not be dismantling it. Sounds more like my level of technical ability monkey nuts, care to share a pic?? Can be had cheaper from china. I did pop the clear lense out of the supplied cover but it was a bit cloudy and scratched. Those covers may be clear enough on its own. BBs tend to deform those quite quickly though. Well with brute force and ignorance I managed to get the outer washer to un screw enabling me to fit the 3mm clear acrylic in front of the inner lens washer. Because the inner washer is around 3-4mm thick I have some space between the protective lans and objective. I did spray some silicone oil on the outer washer though as it was drier than a popcorn fart. Went back on like a dream. Now I can loose the hideous rail mounted protector. Any ideas what people use to protect the little doctor sight on top? I've never bothered protecting one of those RMR knockoffs, the glass in them is so thick and such a small area I reckon even the cheapest ones are REALLY hard to break. Plus they only £30 to replace should the impossible happen.